A lovely blue Short John outside of the City Courts. 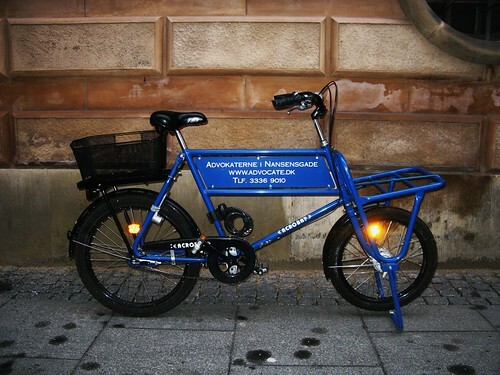 It's a company bike for a firm of barristers. There is a veritable boom in the number of company bikes in Copenhagen this year. It's great advertisting. 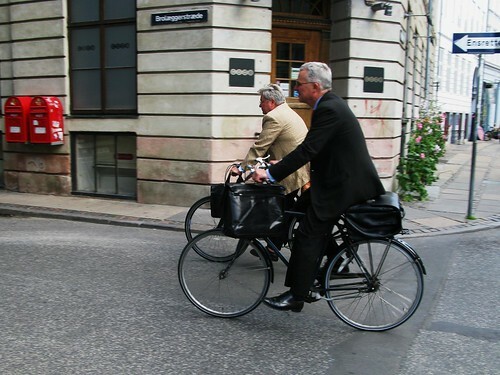 Caught these bicycling barristers last summer, heading away from court.